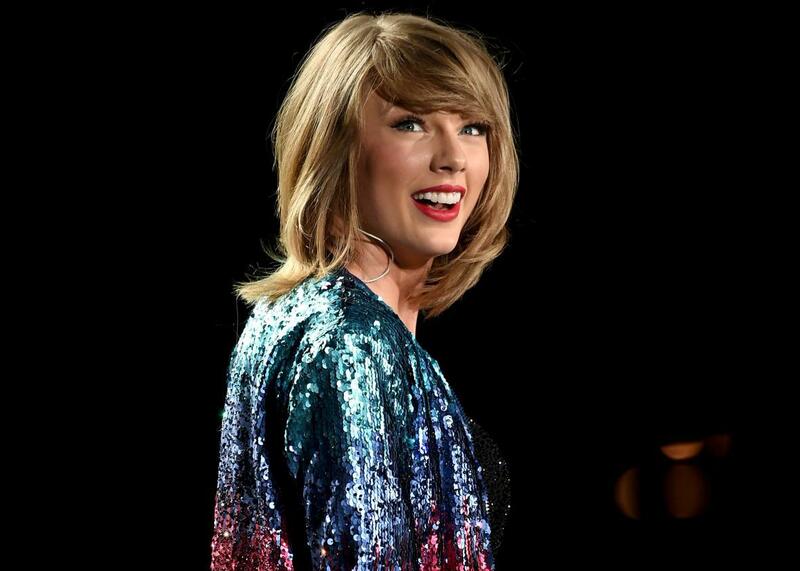 Taylor Swift wants artists to stand up for themselves. This one did, against Taylor Swift. Taylor Swift Wants Artists to Stand Up for Themselves. This One Did—Against Taylor Swift. Taylor Swift performs on June 13, 2015, in Philadelphia. Swift posted the image, an adorable little red fox, on Facebook, Tumblr, Instagram, and Twitter in October alongside the “I Know Places” lyric “They are the hunters, we are the foxes/And we run…” The fox on Swift’s Instagram post, which has since been deleted, is nearly—but not completely—identical to Burguieres’. Another artist’s name (Liñya?) is signed in the corner and dated 2014. Burguieres suspects it’s a tracing done by a fan. That wouldn’t be illegal or wrong, as long as she or he didn’t try to use the work for commercial gain. But by sharing the work with her hundreds of millions of social media followers and using her album’s hashtag, that’s what Swift did. Burguieres posted an open letter to Swift on Facebook on Friday, and has since promoted it on Twitter and Imgur. She told me she’s given up on getting any kind of recompense from Swift, but wants to make a statement on behalf of independent artists. (See: Cara Delevingne’s recent claim over a “The Future is Female” T-shirt.) Swift has the money to give Burguieres her due. She should put it where her mouth is. Read Burguieres’ full letter below. I am a professional artist. With years of work and support from customers, friends, and family, I have built a business around my designs and am (hopefully) adding my own small form of beauty to the world. I now have three shops in New Orleans and gratefully rely on people who demonstrate that art they love is worth paying for. I may “only” have 1239 followers on Instagram, but I believe my work has value. I believe there are many others out there like me. As a professional artist, I was astonished to see you use one of my most popular designs on all your official social media platforms as part of your promotions for 1989. While I wondered why no one had sought permission or offered compensation to do so, I recognized that such endorsement is a once-in-a-lifetime boost for an artist and can skyrocket an artist’s career. Friends congratulated me and customers expressed joy. But congratulations turned to confusion. The design was a copy, and with someone else’s name signed to it. I was devastated, but I took solace in thinking that someone so outspoken about artists’ rights would willingly fix her mistake. Mistakes are easy to make; I thought if you only KNEW about the error, you would do what is in your power to make it right. I was wrong. My efforts to combat the pirated and unauthorized copy (and your use and distribution of it to millions of people) were noticed, as you removed the post after several days. But the copy had been shared and downloaded countless times, and it seemed neither you nor your team intended on correcting your mistake. After months of effort, I received an offer from you and your team that mentions no credit to me as the artist of the design, but does include payment of a “four-figure” amount, with the stipulation that I must donate it all. Taylor, as a professional, would you agree to such terms from Apple, or Spotify? My work is my living—it is how I pay bills and support my family and employees. Many of your fans are professional artists, and support themselves and their families with earnings from their intellectual property. Would you really profit from and distribute a copy of their work to millions of people, and then tell them they don’t deserve professional recognition or compensation? I don’t know what will come of this letter, but for the sake of my own business and on behalf of independent artists like myself, I had to speak up. I have no ill will toward you, and I appreciate the theoretical virtue of your stance as a defender of art and intellectual property. I simply hope to see your actions fall more in line with the values you claim to hold. A fan has stated that she created the watercolor drawing of a fox, added some of Taylor’s lyrics and signed the artwork as her own, posting it. Ms. Swift, believing it to be the fan’s original work, reposted the fan’s art, with her own comment, continuing the social media conversation. Ms. Burguieres did not contact Taylor’s office, but she posted on social media her claim that the fan had used her drawing. We found that posting, accepted it at face value and immediately took down Taylor’s posting of the fan art. At no time during these postings did Ms. Burguieres contact our office directly. Notwithstanding the huge publicity this has generated for Ms. Burguieres and her store, in early November Ms. Swift’s office made a fair offer of payment well above a reasonable licensing fee for the short time that the fan art was posted online. The offer was for a payment to Ms Burguieres—there was no requirement of a contribution to any charity. Her lawyer further advised us that Ms. Burguieres chose to go after Taylor only and not against the woman who has admitted she used Ms. Burguieres’ work as inspiration. Ms. Burguieres’ lawyer acknowledged Ms. Swift’s action was unintentional, but rejected the offer. She promised to get back to us with an explanation of why she felt Ms. Burguieres was entitled to more money, but she never did that and the next we heard was Ms Burguieres’ new posting. We have tried on multiple occasions to address Ms. Burguieres’ concerns, but these actions make it clear to us that this is just an unfortunate effort to extract more money and more publicity.